Maitland Smith, Contemporary. 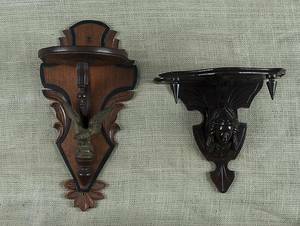 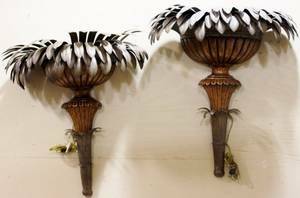 Two matching large metal wall sconces with leaved palm tree motif. 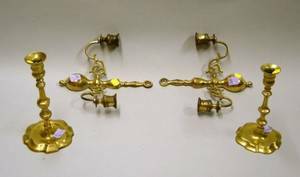 Electrified. 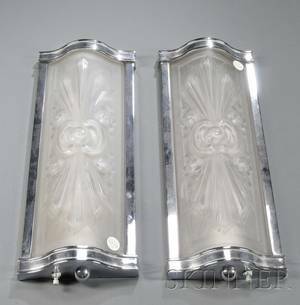 Height 34", width 31". 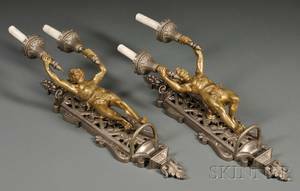 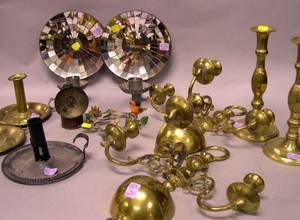 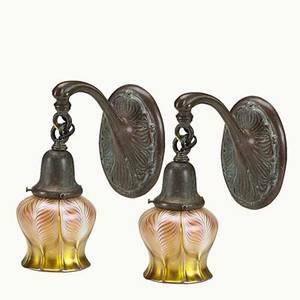 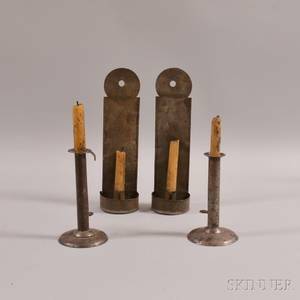 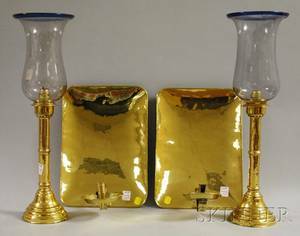 Handel; quezal; pair of patinated bronze wall sconces, gold art glass shades with feather decoration; sconces stamped handel, shades etched quezal; sconces, 8" x 4 1/4", shades, 4" x 4"
Pair of Brass Candlesticks and a Pair of Brass Candle Wall Sconces.